Sign up for your choice of Morning, Mid-day and Afternoon Intensives with Bebe Miller, Stephanie Nugent, Darrell Jones, luciana achugar, Cathie Caraker, or Krista DeNio. Includes unlimited drop-ins, performances and jams. A critical mass of today’s most highly regarded dance artists who have been dancing everywhere but in the mainstream. 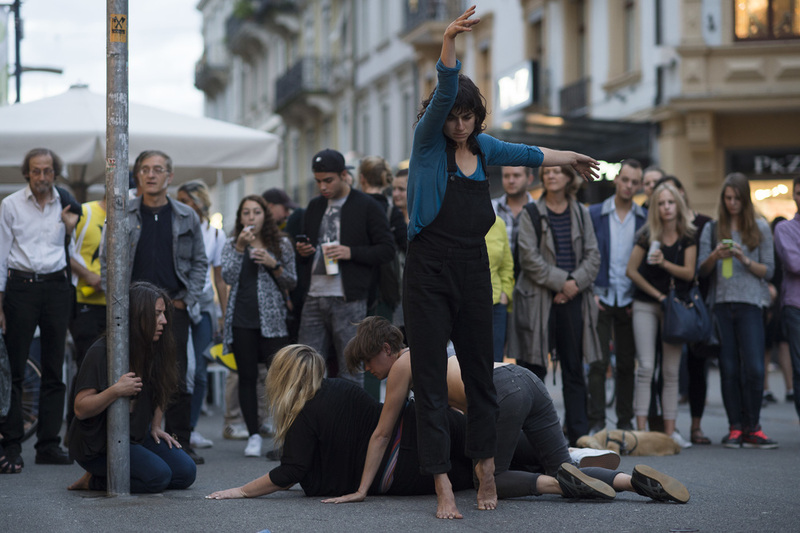 The Pleasure Project is the culmination of a three-month-long procession of public space interventions made throughout NYC and Biel/Bienne Switzerland, that seeks to viscerally activate the passive spectator. Anti-spectacular yet super-natural, it is less a performance and more of a practice of moving performance closer to ritual—a ritual of growing ourselves a new and much-needed ‘post-civilized’ body; a collective body with audience and performers; a collective utopian body, a sensational body, a connected body, a decolonized body, an anarchic and animal body, that is full and filled with pleasure, and magic. The Pleasure Project is a performance as an intervention for a theater in ruins. In the Union Station site —activated everyday by commuters and tourists visiting from around the globe, moving through its transit hub— 2016 SFDI faculty Bebe Miller + Darrell Jones’ performance will highlight how choreography is everywhere, always in everything. Through their deeply physical approach to improvised movement, they will brings awareness to the body of the viewer in the context of the art fair, revealing how we don’t just see art, we feel it and gain knowledge and experience through motion. 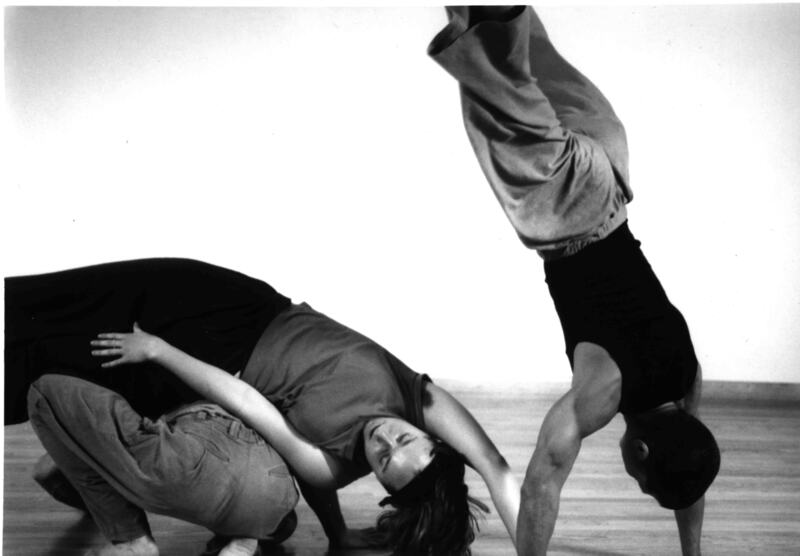 A long-form open improvisation structure for practicing and examining dance improvisation. If you’re never attended an Underscore, be sure to attend the talk with Katherine Cook in Founders Studio on Thursday, 3:30-4:30pm. BEBE MILLER, a native New Yorker, first performed her choreography at NYC’s Dance Theater Workshop in 1978, after receiving her MA in Dance from OSU in 1975; she formed Bebe Miller Company in 1985. Known for its mix of virtuosic dancing and fundamental humanity, her choreography has been produced at major dance centers across the country and internationally in Europe and the African continent. Her work has been commissioned by Dayton Contemporary Dance Company, Oregon Ballet Theater, Boston Ballet, Philadanco, Ailey II, and the UK’s Phoenix Dance Company, among others. She has been honored with four New York Dance and Performance “Bessie’s,” fellowships from the New York Foundation for the Arts, Ohio Arts Council and the Guggenheim Foundation, and was named a United States Artists Ford Fellow in 2010. A Professor in Dance at The Ohio State University since 2000, Bebe is a Distinguished Professor in OSU’s College of Arts and Humanities and received an Honorary Doctorate of Humane Letters from Ursinus College in 2009. In 2012 she was designated as one of the inaugural class of Doris Duke Artists, a program of the Doris Duke Foundation’s Performing Artist Awards. Most recently, she was honored by Movement Research as an honoree for their 2015 Gala along with Tere O’Connor and Moira Brennan. Bebe currently lives in Columbus, OH. 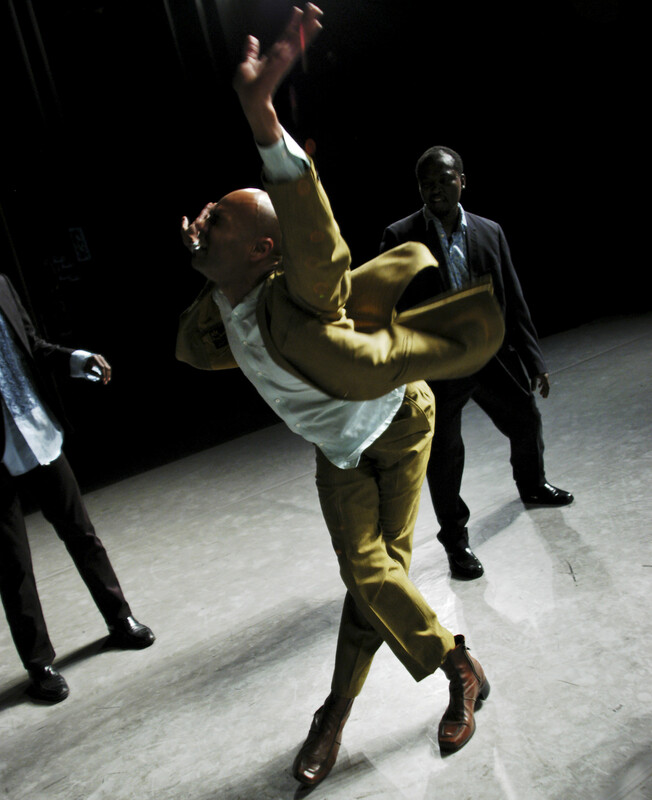 DARRELL JONES performs in the United States and abroad with a variety of choreographers and companies, including Bebe Miller, Urban Bush Women, Ronald K. Brown, Min Tanaka, Ralph Lemon and KOKUMA Dance Theater. He was on tour with the Bebe Miller Company throughout the summer and fall of 2005. Along with performing Darrell choreographs and teaches. 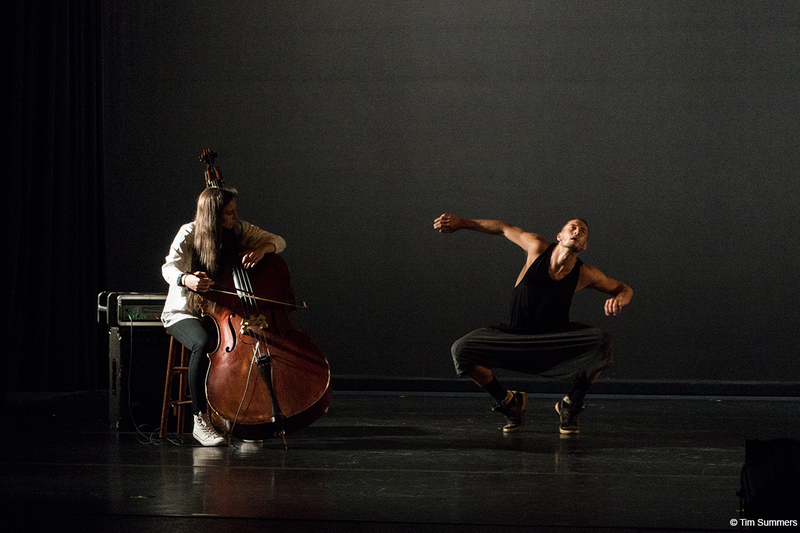 He has collaborated with other choreographers (Fiona Millward, Jeremy Wade, Angie Hauser), writers (Cheryl Boyce Taylor), musicians (Brian Schulur, Jesse Manno, NOMAD), and designers (Mahwish Syed), in dance films, documentations and interactive multimedia installations. In addition to his collaborative duets he also works in solo forms. His choreography has been presented at The Place Theater in London, Kwanju Biennale in South Korea, The Kennedy Center in Washington DC and Judson Memorial Church in New York City. Darrell has taught workshops and master classes throughout the United States and in other countries such as South Africa, UK, and South Korea. His classes are informed by his training and studies in a variety of contemporary dance techniques, improvisation, Butoh and Traditional Dance forms. He will be full-time on the Dance Center faculty in January, 2006, where he will be teaching dancemaking, improvisation, and modern technique. CATHIE CARAKER is an international dance artist who has been working at the edges of movement research, improvisation and performance for over 25 years. She is the director of MAMMALdance, a forum for embodied, inter-media research and performance. A native of San Francisco, she moved to Amsterdam in the 1980s, where she graduated from the School for New Dance Development (SNDO), eventually joining the faculty from 1995 – 2005. 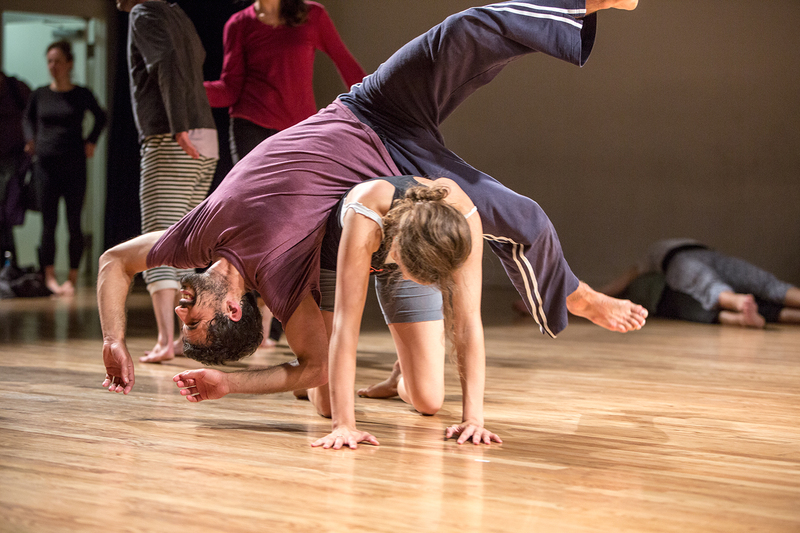 Her dance work has been influenced by post-modern ideas and practices including the Judson Church movement, European new dance /music improvisaton, Contact Improvisation and somatics. In 2005 she returned to San Francisco. 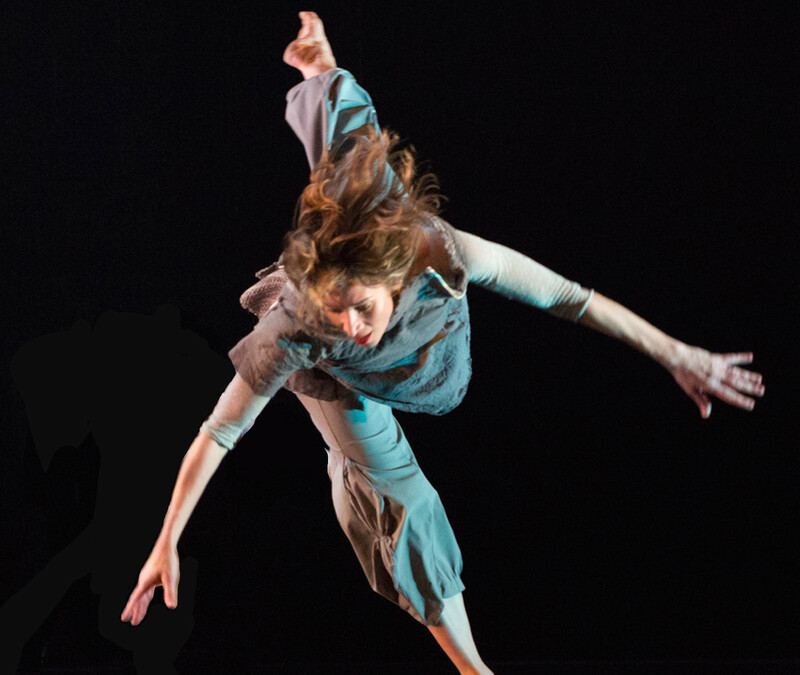 Her performance work has been produced and presented by theaters including Dance Theater Workshop, Danspace at St Mark’s Church, Movement Research at the Judson Church, the University Settlement House, the New York Improvisation Festival, the NesTheaters in Amsterdam, CounterPULSE in San Francisco and the Seattle Festival of Dance Improvisation. She has collaborated with numerous artists including Gonnie Heggen, Robert Steijn, Meredith Monk, Nancy Stark Smith, Mike Vargas, Daniel Lepkoff, Andrew Harwood, Felice Wolfzahn, KJ Holmes, David Hurwith, Katarina Eriksson, Rosemary Hannon, Ray Chung, Vitali Kononov, Henry Kaiser, Jerry Smith, Ronja Ver and Pipaluk Supernova. 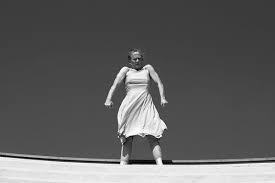 Cathie is a graduate of the innovative SNDD / Department of Choreography of the Amsterdam School for the Arts. 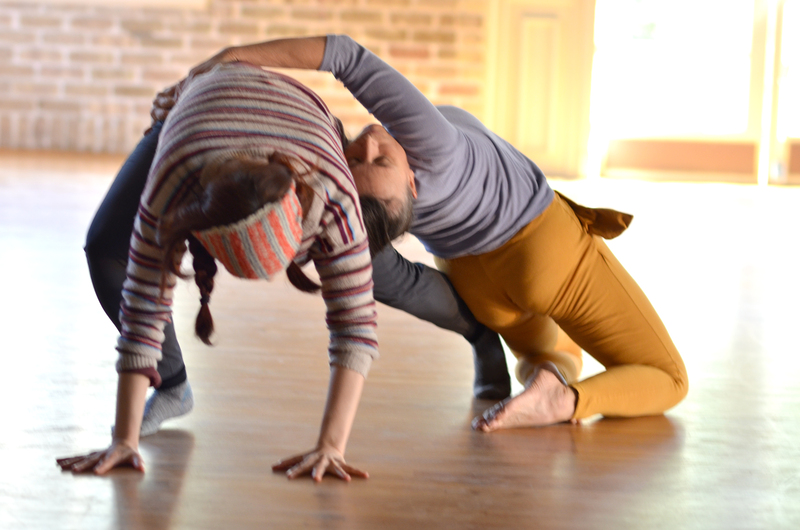 She also holds an MFA in dance from Bennington College and is a certified practitioner of Body-Mind Centering® (BMC), as well as a longtime Pilates and Gyrotonic® instructor. Her writings on BMC as a somatic approach to dance education have been published by the Belgian dance journal Nouvelles de Danse. Applications for Work Study are now open. Positions open until filled. *$100 non-refundable deposit is built into all SFDI prices. This deposit serves as the place holder within the program. All paid tuition (not including the $100 deposit) and housing fees will be refunded in full only if written notice of withdrawal is received on or before July 1, 2016. Between July 2 and July 30, 2016 all paid tuition (not including $100 deposit) will be refunded for medical reasons only. A signed note from a doctor is required. Dorm fees will be refunded in full. After the program begins, July 31, 2016, tuition and housing fees will not be refunded for any reason. Have questions? Need more info? Contact Cait Wyler, Summer Festivals Manager. SFDI 2016 is made possible thanks to NEA Art Works and City of Seattle Office of Arts & Culture; with additional support from our season sponsors 4 Culture, Arts Fund, Case Van Rij, The Glenn H Kawasaki Foundation, The Seattle Foundation, Jeremy Steward and Eric Hartmann; and supporters The Pruzan Foundation, Fales Foundation Trust, Barbara Lewis, The Patricia and Marcus Meier Charitable Foundation, and ArtsWa, with special thanks to community partner Seattle Art Fair.